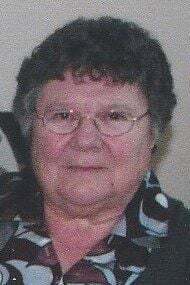 CADOTT — Sandra Jean (Weiher) Ryan, 73, of Cadott passed away Monday, March 18, 2019, at home with family at her side. Sandy was born Aug. 16, 1945, the daughter of William and Martha (Gehring) Weiher in Bloomer. Sandra Weiher married Duane Ryan, Sr., Dec. 7, 1968, they were married 50 years. Sandra is survived by her husband of 50 years, Duane Ryan, Sr.; children, Duane (Wendy) Ryan, Jr. and William “Bill” (Heather) Ryan; eight grandchildren, Brady, McKenzie, Dakota, Laken, Jaden, Alexis, Kassara and Jenessa Ryan; siblings, Sharon (Weiher) Ouimet and Robert Weiher; and also many by nieces and nephews. her special friend, Hunter her Beagle. A funeral service will be held at 1 p.m. Sunday, March 24, at St. John’s Lutheran Church in Cadott, with the Rev. Raymond Bell Officiating. Interment will be in Brooklawn Cemetery, Cadott. Visitation will be from 4 to 8 p.m. Saturday, March 23, at Leiser Funeral Home Cadott, and also one hour prior to the services Sunday at the church. In lieu of flowers, memorials are preferred to the Chippewa County Humane Association.